Gas gangrene is a very fatal necrotizing soft tissue infection of the skeletal muscle caused by the toxin- and gas-producing Clostridium species. Before there were antibiotics and mobile army surgical hospitals, around five percent of total battlefield injuries all over the world were made worse by this condition. The incidence rate of this infection, however, dropped to less than 0.01 percent during the Vietnam War. At present, around 90 percent of contaminated wounds still contain clostridial organisms, but clostridial myonecrosis or gas gangrene only aggravate less than two percent. Gas gangrene may transpire after surgery, most often of the gastrointestinal or biliary tract, and after septic abortions. 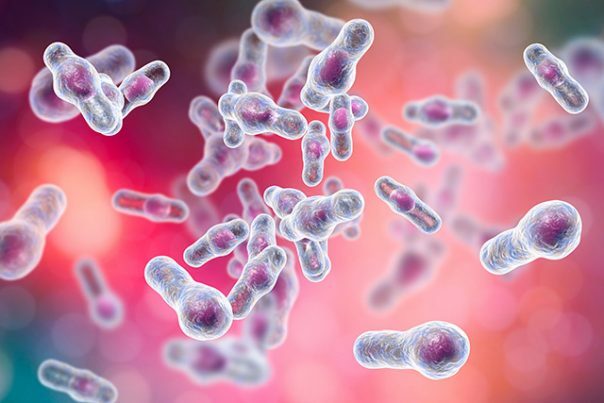 Clostridium perfingens, Clostridium septicum, and Clostridium histolyticum are among the most common perpetrators of gas gangrene, with an increase in incidence rates seen during times of hurricanes, earthquakes, war, and mass-casualty conditions. Gas gangrene rates also increase during times of gastrointestinal abnormalities and neutropenia, which is characterized by abnormally low levels of neutrophils – a common type of white blood cell which is important in warding off infections – in the body. Over the last 15 years, Clostridium sordelii infections have been recognized in women undergoing childbirth or other gynecologic procedures, such as medically induced abortion. The Clostridium species are found in many environmental sources such as the intestines of humans and animals and raw meat and poultry. They can grow in areas where there is very little oxygen available. Although the Clostridium species primarily cause gas gangrene, it can also be caused by the Streptococcus bacteria in some instances. At the most risk of incurring gas gangrene are people who have wounds that have been contaminated with dirt or soil, deep wounds, crushed tissue, and injuries to the muscles. Also at risk are those with health conditions such as blood vessel disease, colon cancer, frostbite, open fractures, diabetes mellitus, vascular disease, and atherosclerosis, and those who use contaminated needles. Gas gangrene commonly affects the arms and the legs. These symptoms usually occur within six to 48 hours after the initial infection and progress rapidly. Gas gangrene affects all bodily systems, most especially the skeletal system, as when it is not treated immediately, it can cause death. According to Phyllis A. Balch, a nutritionist and author of “Prescription for Nutritional Healing,” some of the herbs that can help treat gangrene include olive leaf, echinacea, ginkgo, bayberry, butcher’s broom, cayenne, goldenseal, and red seal. Physicians will utilize blood, fluid, and tissue cultures coupled with imaging testing to properly diagnose gas gangrene. It is important to treat this disease as soon as possible to avoid death. Tissues that have become thoroughly infected must be removed from the body, and high dosages of antibiotics are typically administered to the patient to stop the disease from spreading. In severe cases, amputation of the infected body part should be done to avoid complications to the body. If gas gangrene is left untreated, the patient can succumb to shock, tissue damage, liver damage, kidney failure, delirium, sepsis, coma, or even death. Gas gangrene symptoms usually occur within six to 48 hours after the initial infection and progress rapidly. Gas gangrene affects all bodily systems as when it is not treated immediately; it can cause death.